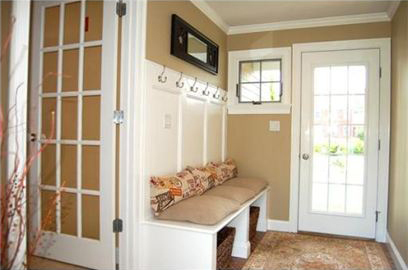 An efficient mudroom benefits from custom cabinetry which provides plenty of storage, a bench for seating, shoe storage and convenient hooks for hanging. Tired of the Snow? Start Planning for Spring!